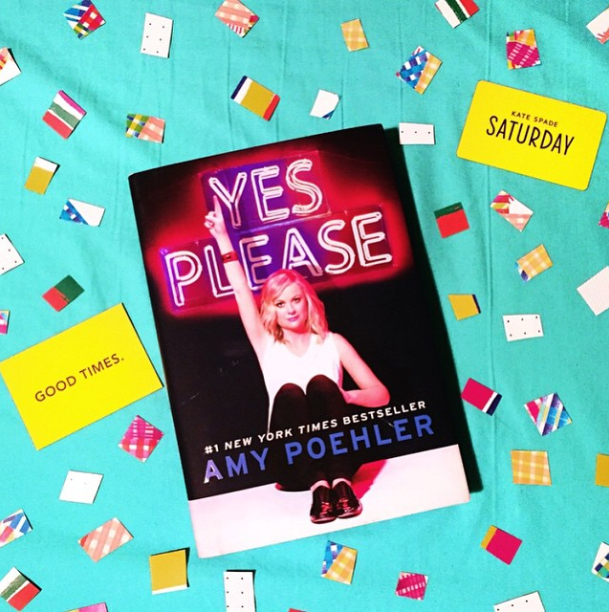 I not so recently won a giveaway from Kate Spade Saturday (#RIP) for Amy Poehler's Book Yes Please. Let me start this off by saying I was not expecting to like and relate to this book as much as I did. I enjoy Amy Poehler. I loved her on SNL and I loved her on Parks and Recreation, but I was never obsessed with her like I am with some celebrities (cough cough Dylan O'Brien). I thought this book would be a light, fun read where I would giggle and finish with a "Well that was good." What I didn't expect was for me to connect with Amy Poehler. No I'm not an award winning comedian who has two sons and an amazing personality, but it was the little things that made me see her as a regular person, someone whose little quirks related to mine. I especially connected with her when she was talking about her desperate need of nitrous when visiting the dentist. Anyone remember a little post I wrote last summer about my anxiety at the dentist? As I was reading her book I got a glimpse of who she really is as a person (or at least who she writes herself to be, I don't actually know her obviously) and got the feeling you're supposed to get when reading a magazine's section of "Celebrities! They're just like us! "She shared intimate details of her life, and how she grew up. I love learning about how people grow into themselves. I think it's partially because I'm in that phase right now, and also because I have a strange need to compare my life to others. Yes Please made me feel like some of my weird insecurities were something that I could use "as my currency" as Amy phrases it. To use your interests and personality as a way to make things happen and change your life. Her approach to life is funny, serious, and sometimes a little wacky, but that just makes her more interesting. A few points in the book I would lose interest at because either 1) I had no experience in what she was talking about (read: improv/divorce) or 2) It would be 1am and I was starting to fall asleep. My point is, I didn't think that I would get that much from a book written by a comedian. At most I thought I would get some insight into the gossip behind SNL (which I did) but I got so much more than that. It's opened me up to new ways of thinking about the world and myself. I highly recommend this one guys. Great job Amy, I know it was hard (as you stated about a million times haha). P.S. 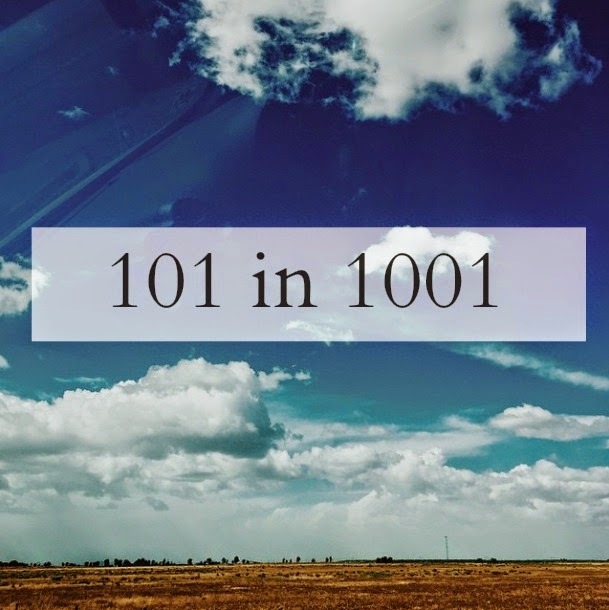 By finishing this I've partially completed a goal on my 101 in 1001 list! P.P.S. If you have any good book recommendations, I would love to hear them! I'm always looking for something new. I've always been a life planner. Not necessarily the type to have every little detail planned out, but I have always had bigger goals that I wanted to accomplish in my future. However, I've realized that some of these goals that I've planned on for so long aren't exactly what I want anymore. I came into college thinking that I would get my degree, go on to grad school until I got a doctorate, and eventually work at the Smithsonian. But I'm starting to see the flaws in my own plan. First and foremost, I'm not sure if I even want to go to grad school. If I don't go to grad school, I don't work at the Smithsonian, simple as that. But despite how upsetting it would be to not fulfill this goal that I've told everyone has been my dream, it doesn't exactly ruin my happiness. 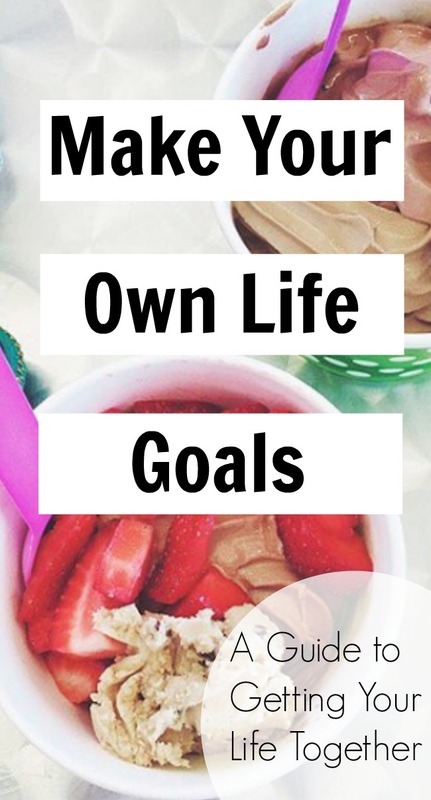 I think that when these things happen we have to reevaluate our goals and decide if that plan is what we really want. This ties in with what I call "the supposed to's." I'm halfway through college, I'm supposed to know what I want to do for the rest of my life. Well technically I'm supposed to have a general idea of some sort. I might want to do something with history (my major) but it would also be a dream of mine to blog full time. I'm also supposed to have a job or at least some experience, when all I've ever done is nanny! To get a job after college, I'm supposed to be getting straight A's along with doing an internship or community service or maybe holding a leadership position in some clubs. It drives me crazy with all the things that I'm supposed to have going on or planned for the future. More importantly, it scares me a little. I think about where I'm supposed to be in preparing for my career and my future life and sometimes I just want to drop it all and give up. But, I know that this is normal, as proved by the fact that half of my friends have no idea what they want to do with their lives. I feel like college isn't the place where you truly figure out what you want, but it's a place where you realize that not everything has to be as planned out as you thought. You have time to understand your interests, and even if you major in something that you won't use specifically for your future career, there are ways to go after what you want, whatever that may be. Hey everyone, it seems like I can't stop apologizing for the lack of consistent posting on here, but I swear with summer coming around I'll be getting into a better rhythm. Over the past week I've been dealing with a nasty flu, one that has left me trying to get my voice back for the past couple days because my coughs have been so painful and persistent. I've also had a lot on my plate with finals coming up and just haven't had the time or physical energy to put effort into things other than my health and school work. I'm not giving up on this blog and really hope you all won't give up on me. Be sure to follow along on the blog's Facebook page because that's where I'll be posting that something new is up on the blog! Back to the point of the post...I'm not sure about other places, but the summer heat is already in full force down in Southern California. I am a complete wimp when it comes to surviving the heat, catch me outside for a long period of time and I will be complaining and sweaty and no one wants to deal with me. But these are some tips for how I keep myself cool and not so moody in the summer heat. Most important rule for keeping cool in the blazing sun is keeping hydrated. Not only will drinking water keep you at a lower temperature, but it will also keep you from passing out if the heat is truly unbearable. Whenever possible get your hands on some water because that will be your lifesaver in hot weather. I have a tendency to wear layers in the heat, I know, strange. But it's because I always get burned or get freckles or something when I don't, and for me wearing a loose, flowy cover on my shoulders keeps the sun from blazing down on them. Also light colors reflect the sun, dark colors retain it so whites, pastels, essentially anything bright and not black are in the clear! Instead of eating hot or regular snacks from the pantry, try snacking on some fruit. Keep your fruits cool in the fridge and you'll instantly feel cooler when eating them. Fruit is also another great source of vitamins and will keep you from being dehydrated! Been spending a lot of time outside? Go indoors. Simple as that, get out of the sun. 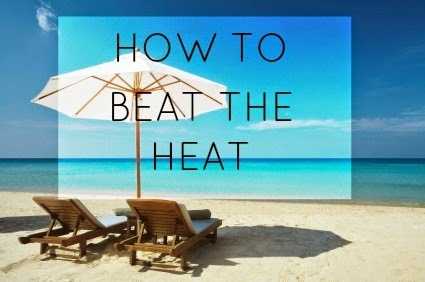 There's plenty of summer activities that you can do indoors that keep you out of the sun's rays and under some nice AC. Go see a movie at your local theatre, some mini-golf places are indoors, visit a museum, take a dance or exercise class, or my personal favorite, go shopping!